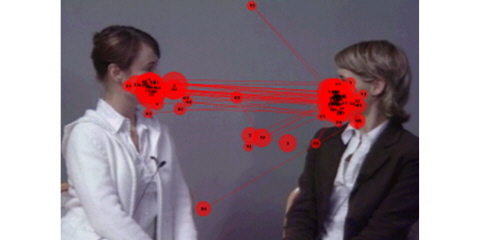 Eye tracking is used in developmental psychology to explain infants' growth and transformation in cognitive, social and emotional abilities. At the Department of Psychology's Child and Baby Lab at Uppsala University in Sweden, Claes von Hofsten and his fellow researchers use eye tracking to measure development of infants' object representation and study the differences in social interactions in children with typical development and children with autism. The ability to remember (represent) temporarily occluded objects is an important milestone in early infancy. This ability helps the child relate to things other than what is directly perceivable. 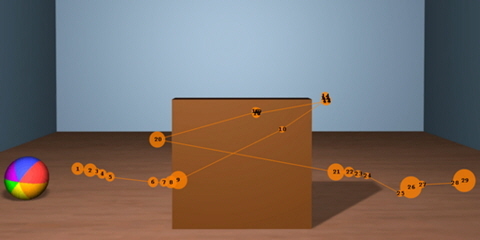 In addition, infants' enhanced object representations help them increase their ability to relate to the external world, predict future events and successfully interact with their surroundings. The Child and Baby Lab at Uppsala University uses eye tracking to investigate how this ability develops during the infants' first year of life. 5-month old infants can represent temporarily occluded objects. 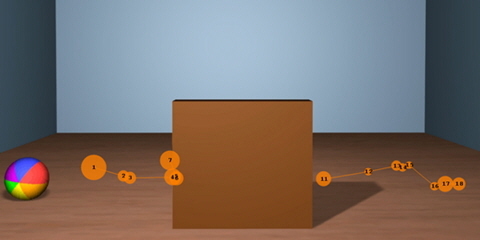 7-month old infants assume that occluded objects will continue.